I made two "bon bon kisses" coin purses for two little darlings. One is for Jane and the other for my cousin's 3-year-old (for Christmas). I am a terrible sewer, so the kiss clasp attachment is terrible, but otherwise I think they're OK. It was fun to use the Lion Brand Bon Bon yarn too. Jane really likes hers, and I put her Sunday school money in it. 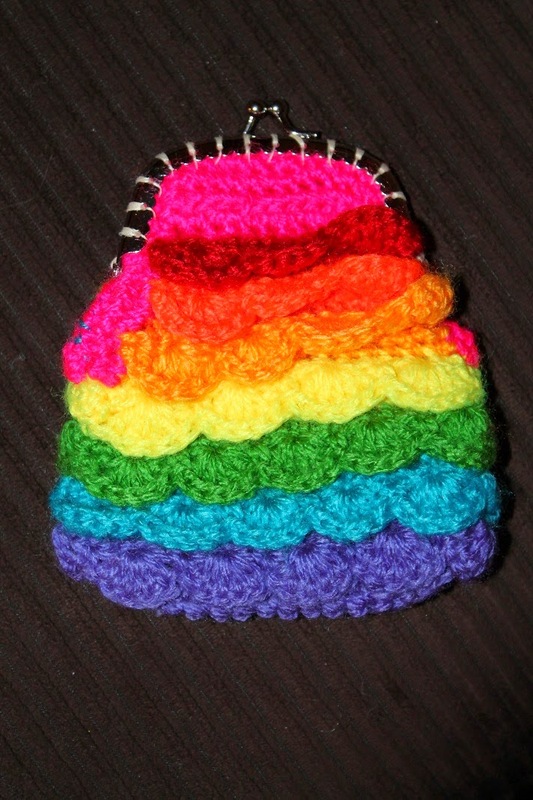 They called it her "coin purse of many colors" because they're learning about Joseph. Sorry for the lame picture. I should take a daylight photo. Welcome to November ... remix hey!